Ludlow Cycling Festival takes place on 21st September 2014 at Ludlow Rugby Club. 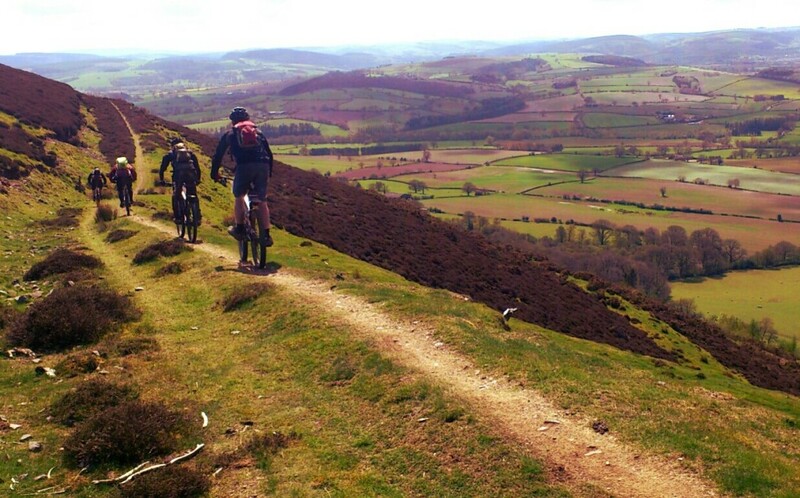 South Shropshire Tors – 100km road ride to the Welsh borders and back. 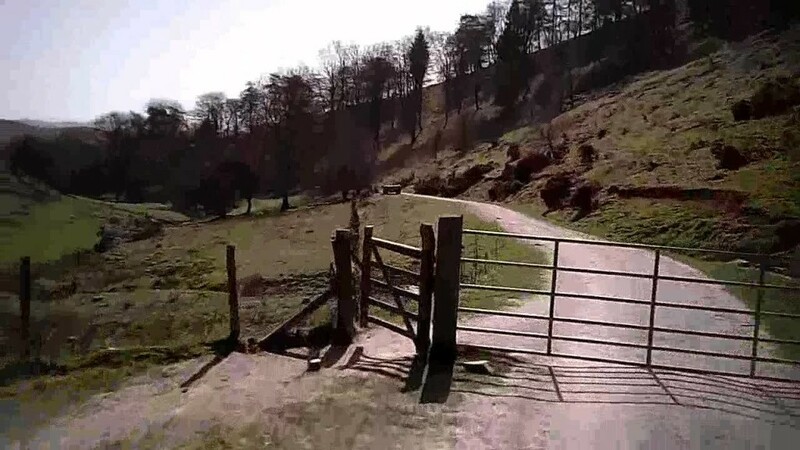 The Long Mynd Cycling Festival is a Church Stretton and Cardingmill Valley based cycling festival which is taking place from Saturday 7th June 2014 to Saturday 14th June 2014. It will feature road and mountain biking events for all the family. 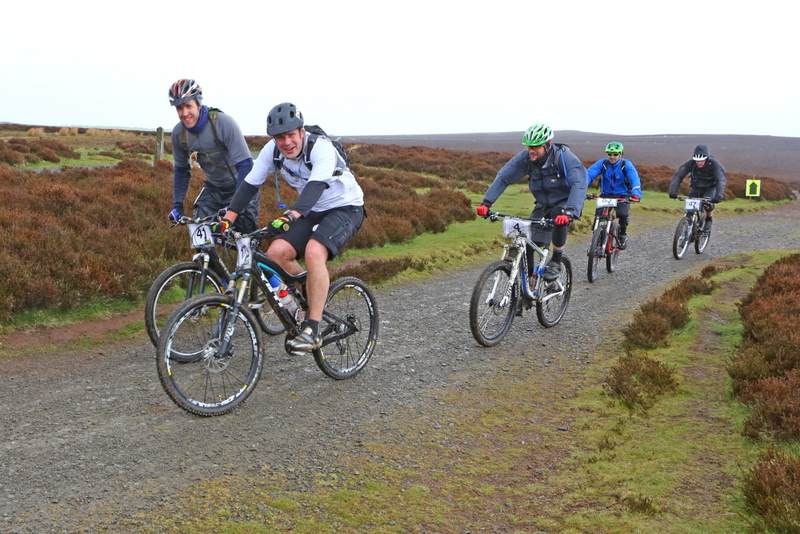 A 48 km Mountain Bike Challenge over the Long Mynd and surrounding hills. SOLD OUT. Choose between a 55 mile or 92 mile route which take in some of Shropshire’s most challenging climbs. Departs from Carding Mill Valley between 8.30 and 9.30am. 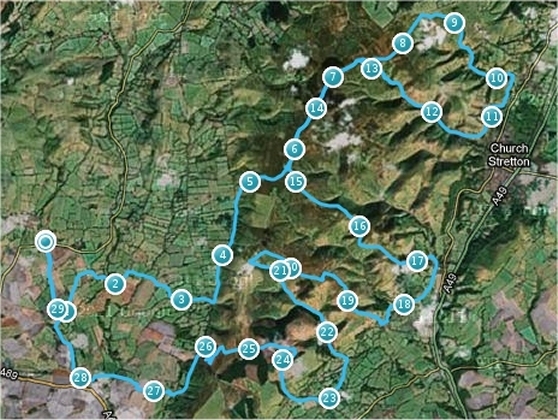 Choose between a 20 mile route departing from the Chalet Pavilion in Carding Mill Valley at 10am or a 10 mile route departing from the same location at 7pm. Come and watch or join local cyclists taking on the Burway road in an evening Hill Climb event being organised by the Wolverhampton Wheelers Cycling Club. To enter the event or find out more details please visit the club’s website. A guided ride over the Long Mynd led by qualified mountain bike leaders – Come and join Kate and Allen on a gentle guided mountain bike ride starting at the Chalet Pavilion in Carding Mill Valley at 6.30pm. £5 (covers the brewery tour). Vintage bikes and clobber option – break out your old bike and vintage racing jersey to take the trip in style. A guided family bike ride led by qualified ride leaders. The 16 mile route takes you on gently rolling, quiet country roads. The ride is suitable for adults and children aged 12 and over (children under 16 must be accompanied by an adult). Meet at the Chalet Pavilion in Carding Mill Valley at 6pm. Create bike powered artwork and smoothies. 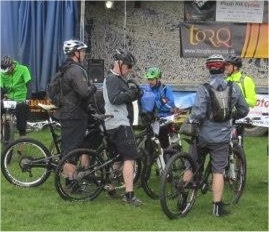 Visit the bike demo stands. Young children can ride around their own traffic free circuit and take part in the slow bike race. Plus lots more family activities. The day started early, for a Saturday. I awoke at 7am and wandered downstairs to make a cup of tea. I had slept badly, probably due to the anticipation of the day ahead. I drank my tea and made some toast for breakfast, wondering if I should be having toast before such an event. The weather looked rather changeable. It was dry but cloudy and the forecast was saying that there could be some heavy showers. After double checking that I had everything I was likely to need, I loaded my bike onto the car and set off to pick up my friend from his house. We added his bike to the bike rack and drove to Norbury Village Hall, which was to be the starting place for the 2013 Long Mynd Batch Burner. After a bit of a detour down some country lanes we arrived at the venue. With still nearly an hour to go before the start, there were already over 100 riders present. The venue had been professionally set up, with ample car parking in an adjacent field and the registration area in the village hall itself. Outside the hall there were marquees, sponsors’ stands, a refreshment stall and a stage for the afternoon’s entertainment. After registering we applied our official numbers to our bikes and found our friends who were also taking part in the event. At 10:00am we all made out way over to the starting point and listened to some final instructions and guidelines. After a countdown by the children of Norbury Primary School, we were off, on the first leg of a gruelling 30 mile trek up and down the Shropshire Hills. With a group start of over 200 riders, it was a case of making sure you didn’t crash into one another at the beginning. Some riders got away and were setting a very fast pace. Those of us that have cycled these hills every week smiled wryly, knowing that it was more important to pace oneself for the duration. After three miles of country road followed by a farmer’s track we arrived at the first of four climbs, a long steep rocky track which took us from the west side of the Long Mynd to Pole Cottage. The mile long climb was around 800ft and lasted for around 20 minutes, but it was tough and some people found it too much and had decided to walk it. I got into a rhythm and although my legs were burning I forced myself to keep going, despite the rocks trying their hardest to disrupt me. This is what I had trained for and I knew I could do this section. As we were climbing, the sun came out and I quickly felt over dressed. Finally the end of the climb was in sight and we arrived at Pole Cottage to be greeted by a team of marshals who shouted encouragement at us for completing the section. We decided to regroup and wait for all of our group to arrive there and I was able to jettison one of my layers to one of the marshal’s vehicles. 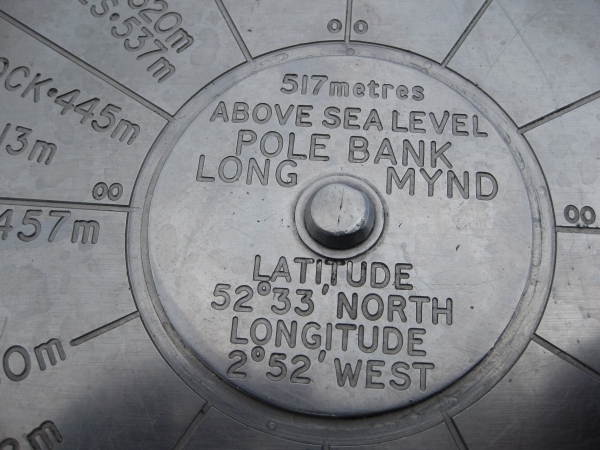 Next followed a short climb to Pole Bank, the highest point on the Long Mynd and the fourth highest point in Shropshire. That meant that there had to be a downhill section to follow and indeed there was. We accelerated down the trail to Shooting Box and then along towards the Port Way. This was fast dry trail and we were soon at the Batch Valley section of the event, specifically Jonathan’s Hollow, a section that had been granted special access for the day by the National Trust. Jonathan’s Hollow is a narrow trail, which is technical in places. It involved a hairpin turn on a steep slope, at the start and a marshal was warning us of the sharp left turn. Just after this was a tricky rocky section which had been made even trickier by the previous days’ rain. It was here that I had my only mishap of the day, when my front wheel decided to stop dead whilst I carried on over the handle bars. Fortunately I didn’t sustain anything more than bruised knees and a bruised ego. I was soon back on my bike and continued down the windy track to the bottom of Batch Valley. Next followed a windy singletrack section, climbing up over Novers Hill and down to the back of the Water Factory. Then we crossed the golf course and descended into Cardingmill Valley. None of us was looking forward to the next part of the route. The climb to the top of Motts Road was extremely difficult at the best of times. There are parts of it that none of us have ever cycled, due to the rocky terrain and the gradient of the track. The wind had increased significantly and this had made it even more difficult. I was happy to walk this part, although even this wasn’t easy fighting against the wind. Once at the top of Motts Road, we followed the trail back down to Pole Cottage where we had our official food station stop. 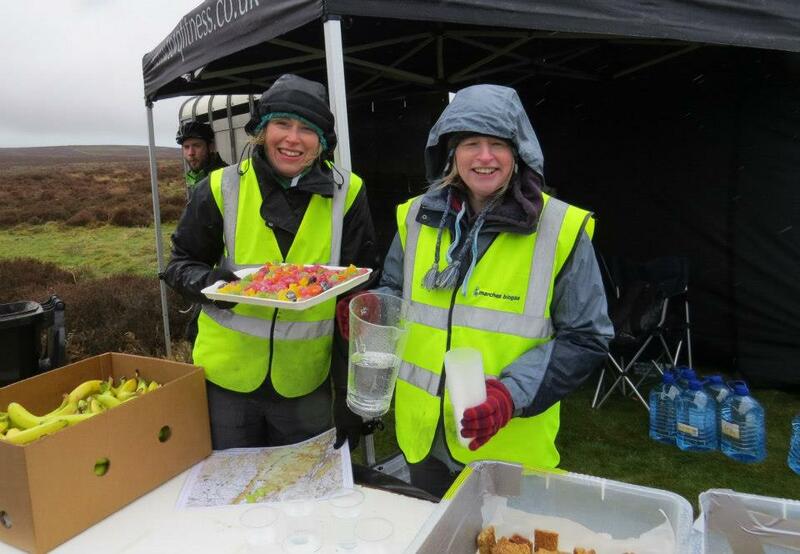 Much needed nourishment was taken on board in the form of flapjacks, jelly babies and bananas. By this time the wind was bitterly cold and rain was definitely in the air. After our brief refreshment break we set off down Callow Descent towards Little Stretton. A group of us had completed some trail maintenance on this section a week prior to the event. This had made the track much faster, by getting rid of the surface water and ruts that spoiled this particular trail. This section has to be one of the most picturesque parts of the Long Mynd and it is always difficult to keep ones eyes on the trail because of the wonderful view. At Little Stretton we joined the road for a mile or so of tarmac finishing in a steep climb up to the top of Minton Hill. After a quick regroup, we headed up through the gate and began the climb of Packetstone Hill. The first part of this was not cyclable. I would describe it as resembling a bomb crater, so a dismount was necessary for the first part. Once past this initial section we climbed back on and began the ascent of this steep hill. Whilst I was climbing this section, it dawned on me that we were well over half way and the reminder of the route was relatively straight forward. After all it was over an area that was very familiar to those of us that regularly cycle the Long Mynd. Twenty minutes later we reached the top of Packetstone. We decided to regroup again. However at that moment we were engulfed by a squalling shower of rain and hail, made worse by the bitterly cold wind. We therefore decide to wait until we got to the bottom of the next decent before regrouping. 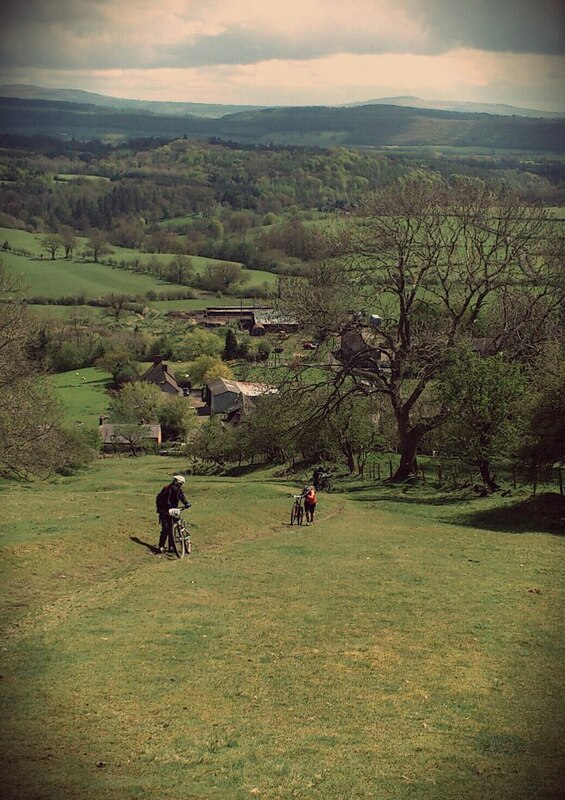 We then followed a mile or so of windy singletrack across Yapsel Bank to the top of the infamous Minton Batch. Here stood a marshal warning us of the tricky nature of this part of the course. Minton Batch is a rocky, uneven, twisting trail that requires undivided attention right from the word go. With the exception of a small wooden bridge that crosses some boggy ground it is an entirely natural descent. In places you really have to have your wits about you, as one mistake could see you tumbling down the bank into the stream that runs adjacent to the trail. It’s always a relief to complete Minton Batch unscathed and as I tend to take things quite slowly descent wise, I found the rest of my group waiting for me at the bottom. After a quick drink we continued along the narrow country lane towards Hamperley and then up to Priors Holt. There we picked up the forest trail, which is a mile long stoney ascent towards the West Midlands Gliding Club. Whilst not particularly steep, this section always seems to take longer than it should do. However we knew that this was the last climb for the day and once at the top, it was literally all down hill to the finish. Another regroup at the top of the forestry and then we set off down towards “Trail 2”, which is a narrow zig-zag descent with several hairpin turns in it. This is a fun track although full concentration is needed down here or it is possible to get carried away and have a nasty spill. At the bottom of this section a kind marshal gave us some encouragement and told us that there were only three miles to go. These three miles were a mixture of narrow road and unmade farmers tracks. Just when we though we’d had the worst of the weather, the heavens opened, while we were crossing an exposed area of farmer’s field. The wind drove the cold rain into our faces stinging like hail stones. It didn’t matter. We were nearly home, after 4 hours, 30 miles and 4000 feet of tough biking. When we turned into Village Hall grounds we were met with applause and cheers from parents and children. I felt a great sense of achievement having completed what was probably physically the hardest thing I had ever done. 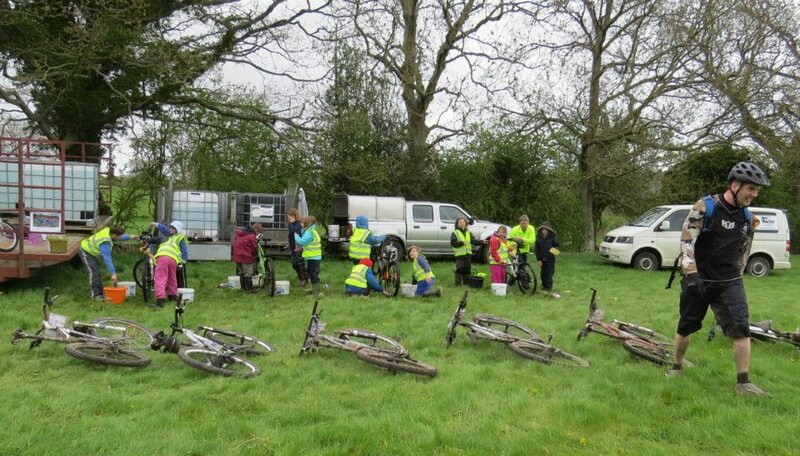 Norbury School pupils provided the bike wash! After checking in, we were given a “goody” bag each and we tucked into a well deserved hot dog and pint, whilst listening to music from Fight the Bear, whose album was the official album of the 2013 Long Mynd Batch Burner. 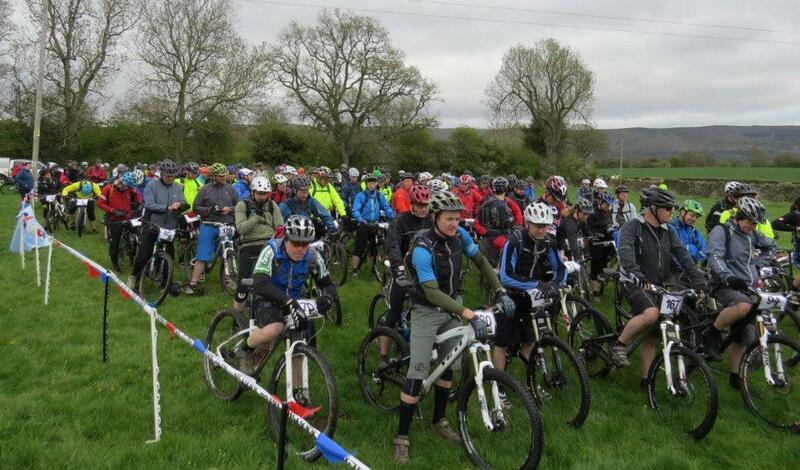 The event had been superbly organised by Norbury Primary School, with the route planning by Plush Hill Cycles and a massive thank you must of course go to all those involved in the arranging of the event. I would definitely recommend that anyone who is interested in mountain biking should enter next year’s event! Batch Burner Route Preview Video!